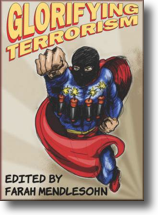 [The Rackstraw Press was] cre­ated in response to the Terrorism Act of 2006 — the con­tro­ver­sial ban on the glor­i­fic­a­tion of ter­ror­ism in the UK. This Act is opposed by people from many polit­ic­al parties as an attack on free speech.Science fic­tion is a polit­ic­al genre. There are many sci­ence fic­tion writers who have already writ­ten nov­els and stor­ies which could be con­sidered in con­tra­ven­tion of the law. Don’t you mean “the tome” rather than “the tone” is edited by Mendlesohn?